And I'm back after a bit of a pause with another gem from Belgium - Maria isn't a Virgin Anymore (or MIAVA for short). These guys play some interesting and driving instrumental tunes along the lines of post-metal, stoner rock and psychedelic genres. And do they succeed in doing it! Heavy tones with a metallic taste, great rhythms and epic sound. They really go for the right notes in those right places and every song turns out to be very solid and inspiring! 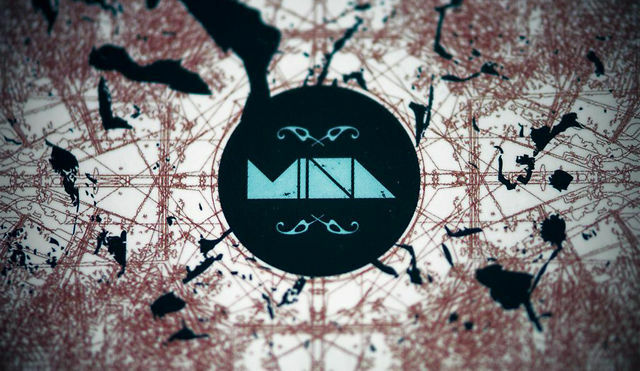 MIAVA had shared stage with such acts like Cowboys & Aliens, Red Fang, Black Tusk and others which was a result of the successful release of their second EP. The band is relatively young and was formed in 2009 by four dudes without any actual plans. The musicians them selves are very young too by the way, never the less skillful. They started jamming and in 2010 released their first self-titled EP which sounds a lot more stoner than the new EP, The Fall of a Public Man, released in 2011. The albums sound really different come to think of it, but it's hard to say which I like better. The second one is certainly more polished and well produced. The first one on the other hand reminds me a bit of a more heavy and driving Monkey3. Do check out both! A full-length is coming your way soon, and, judging by the first available song, yet again sounds a bit different from what the previous 2 releases were all about, which is always a good thing. Keep looking and progressing guys! Best of luck! Some favorite songs would be "Change the world drinking coffee", "Silencer" and "Gasoline junks".